This year marks the 75th anniversary of Jaguar, a luxury British automobile company that saw life when William Lyons was seeking a name for a new sports car he had built. In 1935, the SS 100 became the world’s first Jaguar. Since then the brand has become synonymous with a blend of grace, elegance, power and agility. One of the most iconic vehicles ever created was the XK120, introduced in the late 1940s. 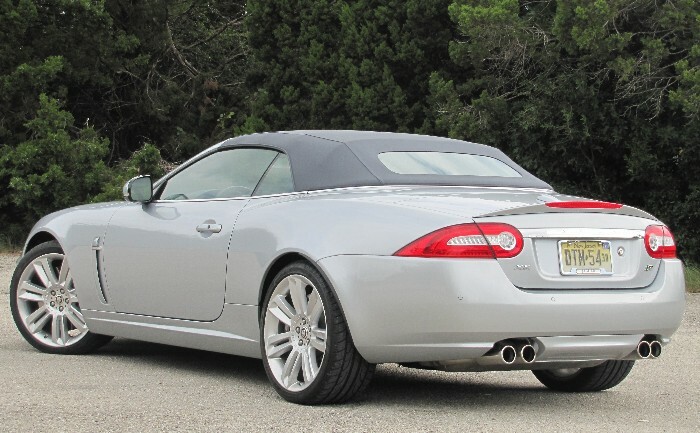 Fast-forward to Jaguar’s diamond anniversary and the XK is still one of the most adored vehicle models on the planet. We recently spent time with the new XKR convertible, a car that is definitely on my “must buy if I win the lottery” list. And win the lottery I must in order for me to spring for the 107 large this vehicle goes for. 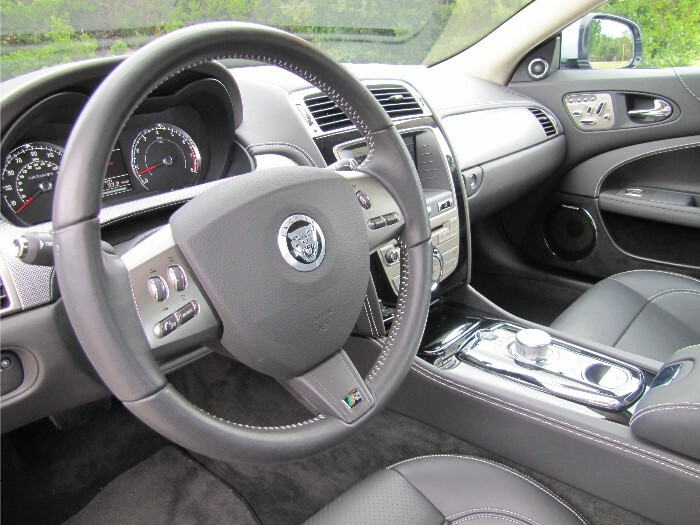 The latest version XK got its makeover in 2009 and it blended styling updates with a new set of powertrains. 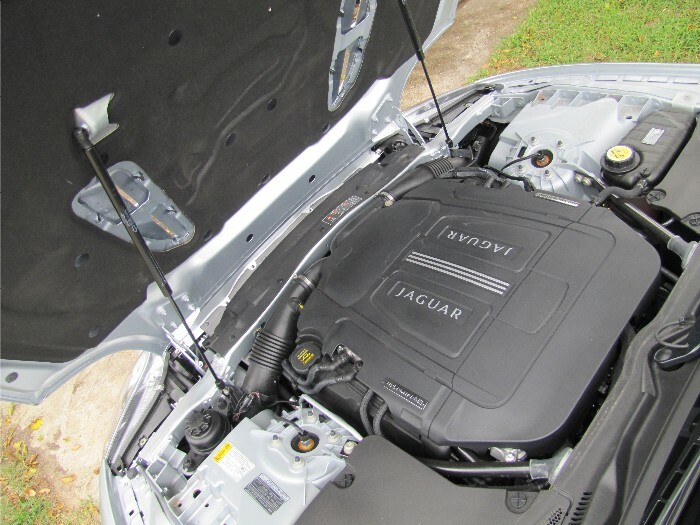 Two engine variants exist for XK, each based on the all-new AJ-V8 Gen III direct injection 5.0-liter motor. Base output is up to 385hp and 380 lb. ft. of torque while the “R” cars add a supercharger beefing power to 510 ponies and 461 lb. ft. of torque. Both engines are backed by a six-speed automatic transmission that provides seamless gearshifts, and R models now benefit from a new electronic differential to optimize traction and performance. XK models are offered in hardtop coupe or cloth top convertible body styles but I still, for the life of me, cannot figure out why anyone would opt for the fixed roof. 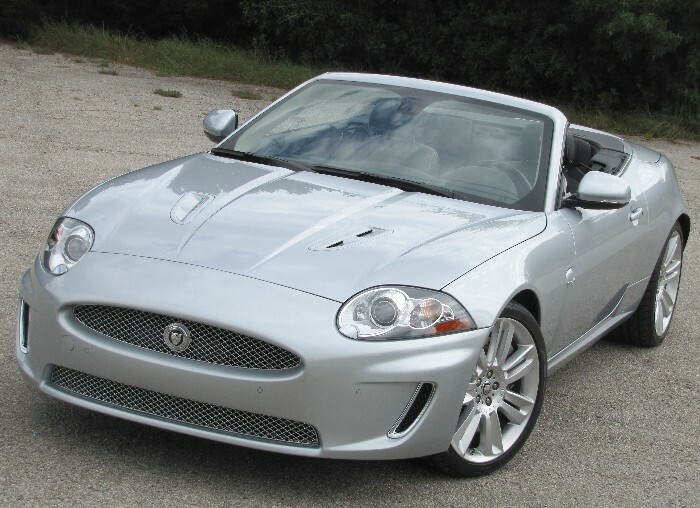 You want a Jag that looks like a sports car but has a solid roof? Buy the XF. I will admit that I did not notice a considerable driving difference in the new XK versus the previous generation, even with the enhanced performance package, but my driving was limited to urban and suburban routes. An open road course would most likely prove otherwise. I cannot repeat some of the comments I heard during my week behind the wheel, especially those uttered by co-workers. Let us just say they sounded extremely envious and they all had some very inventive social suggestions on how I should spend my time in it. At this point I will invoke my fifth-amendment rights on the subject. 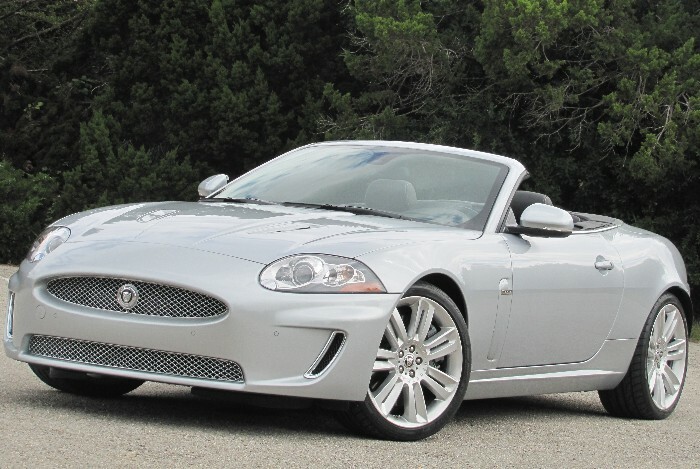 I will say though that at times I kept thinking just how much the new styling makes the 2011 XKR look like an overgrown Mazda Miata with the top down. Not the entire car but from certain angles it would hit me like a small jolt of electricity. With the top down, trunk space won’t get you home from the grocery store but if you have one of these in your stable you most likely park it next to one of its Rover cousins so drive that during foul weather and for domestic chores. 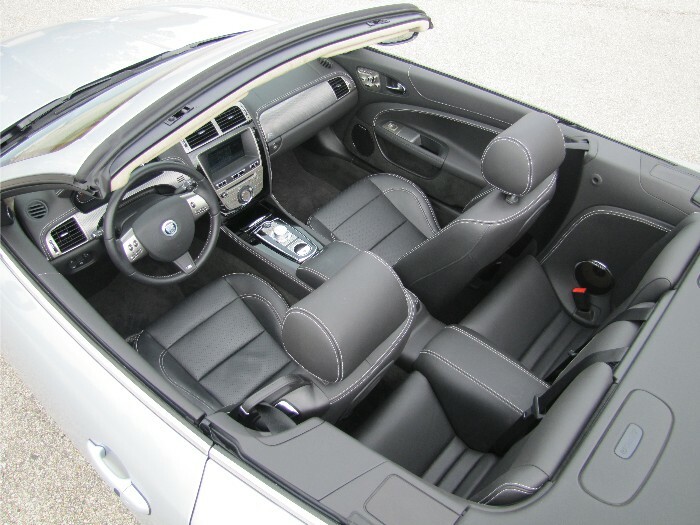 Otherwise, drop the top, hit the gas and go find some open road in your 2011 Jaguar XKR convertible.